Craggy limestone outcrops overlook the Valley of the Moa O Wahi Moa where inside a valley rock shelter, fading charcoal images of three giant moa can be seen. The images were created by the Waitaha people who hunted and lived in the shelters 700 to 1000 years ago. For many years, after the drawings were rediscovered, little effort was put into copying or protecting them. 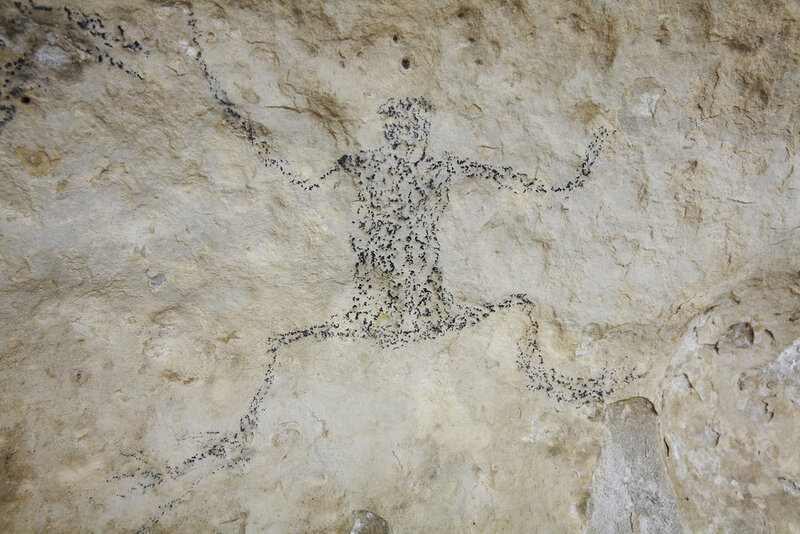 In June 1946 Theo Schoon, (a Dutch international expert on rock drawings) was engaged by the Canterbury Museum to copy the drawings at Craigmore. Subsequently, the Department of Internal Affairs employed him to make painted copies of rock art in Canterbury and North Otago. Theo Schoon stressed that the rock drawings had spiritual qualities - "like the priest, the artist was a link between man and the supernatural". Subsequently the South Island Maori Rock Art Project has meticulously recorded the previously known, as well as more recently discovered, drawings at Craigmore. 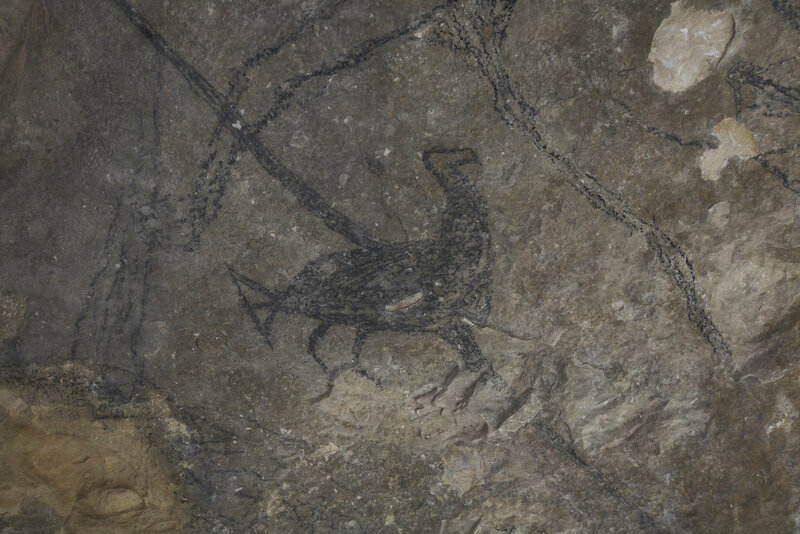 The subjects of the drawings include the aforementioned charcoal image of the three giant moa edged in red, the drawing of the now extinct New Zealand eagle, dogs, as well as numerous other images. What motivated the artists may never be known; were they done with a sacred ritualistic intent or perhaps simply markers of game caught in the area? Because of the significance of these drawings, the Elworthy family in the late 1980s arranged for QEII covenants to be put in place to protect the landscape and archaeological features of these sites. Since then, two further covenants have been put in place to protect two other sites at Craigmore - one protecting Canterbury’s only known population of the tree daisy (Olearia hectorii) and the other protecting an historic cabbage tree (Ti kouka) area. Visitors to the rock art are welcomed. The Moa Valley caves may be accessed from Moa Road. Please close gates after you pass through them. It may be possible to organize a visit to the caves with Lady Elworthy or with another local person.